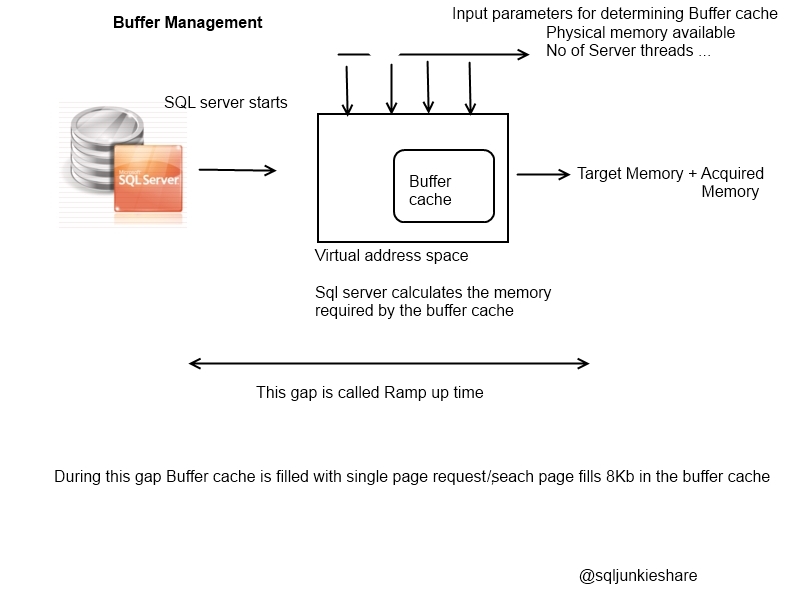 buffer cache (also called the buffer pool), to reduce database file I/O. A page remains in the buffer cache until the buffer manager needs the buffer area to read in more data. Number of 8-KB buffers in the buffer pool. This amount represents committed physical memory in the buffer pool. Does not include reserved memory in the buffer pool. Number of 8-KB buffers needed by the buffer pool. The target amount is calculated using a variety of inputs such as the current state of the system, including its load, the memory requested by current processes, the amount of memory installed on the computer, and configuration parameters. If the bpool_commit_target is larger than the bpool_committed value, the buffer pool will try to obtain additional memory. If the bpool_commit_target is smaller than the bpool_committed value, the buffer pool will shrink. SQL Server has encountered %d occurrence(s) of I/O requests taking longer than %d seconds to complete on file [%ls] in database [%ls] (%d). The OS file handle is 0x%p. The offset of the latest long I/O is: %#016I64x. A long I/O may be either a read or a write; it is not currently indicated in the message. Long-I/O messages are warnings, not errors. They do not indicate problems with SQL Server. The messages are reported to help the system administrator find the cause of poor SQL Server response times more quickly, and to distinguish problems that are outside the control of SQL Server. As such, they do not require any action, but the system administrator should investigate why the I/O request took so long, and whether the time is justifiable. A long-I/O message may indicate that an I/O is permanently blocked and will never complete (known as lost I/O), or merely that it just has not completed yet. It is not possible to tell from the message which scenario is the case, although a lost I/O will often lead to a latch time-out. Long I/Os may also be caused by a component in the I/O path (for example, a driver, controller, or firmware) continually postponing servicing an old I/O request in favor of servicing newer requests that are closer to the current position of the disk head. The common technique of processing requests in priority based upon which ones are closest to the current position of the read/write head is known as “elevator seeking.” This may be difficult to corroborate with the Windows System Monitor (PERFMON.EXE) tool because most I/Os are being serviced promptly. Long I/O requests can be aggravated by workloads that perform large amounts of sequential I/O, such as backup and restore, table scans, sorting, creating indexes, bulk loads, and zeroing out files. Well done! very clear and interesting post. 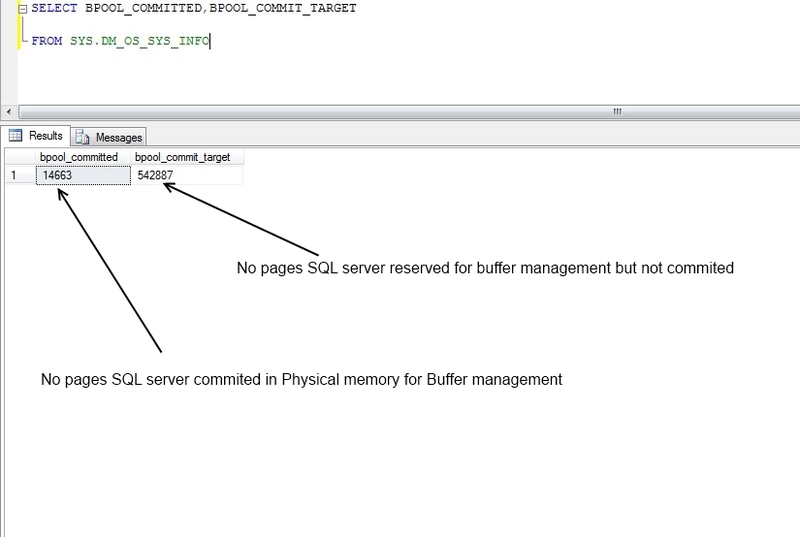 SQL server internals are never clear as Oracle’s.